We have a Patient Participation Group that meets at the surgery every 8 weeks; a group of about 12. We would like to gather feeback from more of our patients. Would you like to come along to the meetings? Contact karen.chriscoli@nhs.net or telelphone 604427. Please read our Terms of Reference and Code of Conduct below for more information. Or would you prefer to join our on-line group? We have a virtual patient representation group so that you can have your say. We will ask the members of this representative group some questions from time to time, such as what you think about our opening times or the quality of the care or service you received. We will contact you via email and keep our surveys succinct so it shouldn’t take too much of your time. For information about our latest meetings please see the Reports & Minutes page. What work have we done as a PPG over the last few years? · Practice/PPG has held 3 Open Days – service providers attended alongside the Practice Team. Patients able to see behind the scenes and meet service providers who can support many long term conditions. Although not huge numbers of patient footfall, each event was seen as a success in promoting both the Practice and external providers. An aim of our group is developing health promotion. · PPG supported mini event afternoons for individual providers ie WIRED, Parkinson’s Nurse, Alzheimer’s Awareness. · PPG members gave many hours demonstrating new book-in screen – On going. · PPG members have helped with distribution of each PPG survey and also with data collection for work we are doing with Productive General Practice. · Noticeboards have been streamlined. · PPG communication board within the Practice – nominated space to give feedback to patients. (however we do have problems that it is repeatedly defaced). · Changes to times prescriptions can be collected. · Changes to times results can be accessed on the telephone. · Promotion to staff of use of small room next to reception desk for extra privacy if patient requests this. · Telephone message changed – re speed plus queue system to indicate how long patient can expect to wait for call to be answered. · Poor response to requests for feedback. Contact has waned but we hope to re-connect with group. · PPG Newsletter – didn’t really get off the ground. We need PPG to re-visit. We have found that “participation” is the key word for our group. The PPG members work closely with members of the Practice team; Operations Manager, Receptionist, Assistant Practitioner and 2 GP’s. Our group doesn’t have a Chairperson. Meetings are led by Karen Chriscoli, Operations Manager/Minutes collated by group member but typed by Karen. We feel that we have a democratic and informal group where all opinions are welcomed. We recently had a guest who commented on how good the atmosphere was at the meeting. Group members have regular access via email with Karen and if they pop in to surgery often have a chat. Issues can be raised at any time. We have recently encouraged group members to share contact details with each other so that they can keep in touch between meetings. We are aware that “one size does not fit all” and that how other Practices run their groups may not work for ours. We feel that you need to see what works for your Practice. We do have an agreement that members should only be with the group for up to 3 years to encourage continuing development of ideas…. Not getting stale! However, we also acknowledge that recruitment of new members is difficult and this is something we will focus on in the coming months alongside re-starting the virtual group. Need to encourage engagement of all staff members in promotion of the PPG. Stockton Heath Medical Centre will once again open its’ doors for patients to see behind the scenes on Saturday 21st September 11am to 1pm. The focus of this years’ open day is to highlight the services offered by the Practice Team alongside health promotion service providers. General Practice faces a difficult task in meeting the demands of an ageing population who have more chronic diseases and complex health needs. Members of the team will be on hand to answer your questions about the work they do. Mini health checks will be available to check blood pressure, height, weight and offer lifestyle advice. The team are hoping to target people who have not attended the Practice in the last 2 -3 years. Come along and meet your clinical team. Representatives of the Patient Participation Group will be attending. They will explain the work they do to support the Practice Team. The following service providers David Cooper, Sure Health Chiropractic; Sheila Nesbitt, Stockton Heath Physiotherapist; Tanya Loxham, Pilates Instructor: Reach for Health Team will have presentations on “Smoking Cessation” “Alcohol Awareness” will attend to promote their services. Come along and see how they can help you stay healthy and mobile. There will also be a “Carers’ Corner” and signposting to services for adults and young carers. For further information regarding the Patient Participation Group please contact Karen Chriscoli, Operations Manager karen.chriscoli@nhs.net 01925 604427. Good clinical care – many patients feel respected, happy and satisfied with their clinical care. We are proud of our clinical standards and the supportive relationships of our clinical team. These comments make our team feel valued and are encouraged to deliver the highest standards of clinical care. The reception team are happy that many patients appreciate the work that they do in supporting the clinical team and addressing the needs of our patients. Some patients are happy with the booking-in screen as it saves time waiting in the queue. We still have receptionists at the desk so that if you do prefer the human touch they are there for you, unfortunately queues do build when the receptionist is dealing with queries and this will mean you have a longer wait….please bear with us. The clinical team faces a difficult task in meeting the demands of an ageing population who have more chronic diseases and complex health needs. The Practice has received funding to help address the difficulties we have in meeting demand for routine; non-urgent; emergency care and chronic disease management. Beginning in September we will be embarking on the initial stages of “Doctor First” program (recently reported on BBC North West Tonight about Manchester Practices) with the aim to introduce a new appointment system early January 2014. Further details will be available soon. Primary Care: Today and Tomorrow’, examines the capacity and capability of general practice now and in the future, with a focus on GPs and general practice nurses. The report highlights the need for general practice to work differently to cope effectively with the increasing demands it faces. Rising life expectancy, accompanied by increasingly complex long-term health conditions, a stretched primary care workforce and unprecedented financial and healthcare reform are amongst the greatest challenges facing primary care in the UK. We are investigating ways to improve telephone access. Patients can now order prescriptions via our website. We are hoping to introduce on-line booking of appointments in the near future but first we need to address the problems we have with appointment demand (Doctor First program). We are hoping that the introduction of “Doctor First” will combat the need to fight your way through the system to gain an appointment and thus reduce telephone demand. Receptionists often deal with queries on the phones that take longer than a call to book an appointment…. The car park is a public car park run by Warrington Borough Council (WBC). Please ensure that you pay the appropriate fee so that you are not caused any additional anxiety whilst waiting to see a clinician. Any concerns need to be addressed to WBC. Please be aware that there may be times that your clinician will want you to have further tests whilst you are at the surgery and this can lead to you being at the surgery for longer than you expect. 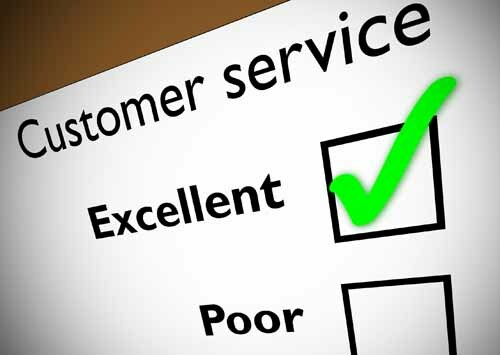 Some patients feel that the reception team need customer service training. Some patients just want advice and feel that the Practice puts up barriers. The reception team felt frustrated by some of the feedback, they are working hard under pressure with strict guidelines to follow. Patient contact is varied and some of this is highly stressful and difficult to manage. The team are due to have an update of their Personal Development Training and will address issues of dealing with difficult situations/patients so that these issues do not impact on how the service they offer to our patients. Our reception team are trained to ask appropriate questions to ensure that you see the most suitable clinician. We are lucky to have a varied clinical team; GP’s, Nurse Practitioners; Practice Nurses; Assistant Practitioner; Health Care Assistant; the receptionist will book you with the most appropriate person. Stockton Heath Medical Centre/Patient Participation Group hosted its’ 2nd Open Day on Saturday 15th September. Members of the public were invited to have a look behind the scenes and meet members of the team in an informal setting. Visitors were given tours of the surgery, viewing the clinical rooms and learning about the equipment on hand at the surgery; ECG machine, Spirometry testing, De-fib, Oxygen, Ultra Sound Scanner, Nebuliser, Ear Syringing equipment were all on display in the minor operations room. Members of the clinical nursing team were available to discuss leg ulcer prevention and care; travel advice clinics. Visitors also had a look behind the scenes in the administration offices, viewing where calls are received, records filed and seeing the reception desk from the receptionists’ point of view. Members of the team who attended included; Drs Palmer, McCarthy, Brooks, Cox and Smith, Nurses Joanne, Susan and Val, Nurse Practitioner Carolyn, Trainee Assistant Practitioner, Bernie, Practice Administrator Karen, Receptionists, Julie, Lorraine, Janet and Sonia. Members of the Patient Participation Group also helped out during a very busy morning, Kit, Ann, Hilary, Roy, Jack and Heather. Reach for Health Team provided blood pressure, pulse and weight checks. They also offered advice for health lifestyles. They proved to be very popular again as they were last year. Warrington Disability Partnership brought numerous products that help people to continue to live independently. Warrington Audiology Services had a display giving advice about hearing problems such as tinnitus and describing the service they provide. They also gave hearing tests demonstrations. Arthritis Care were on hand to give details about the service they provide. John Holt Cancer Support gave demonstrations of hand massage and chatted about the service they provide. St Rocco’s Hospice, Day Care Unit, were on hand to chat about the service they provide to patients and carers. Local Health Visitor, Maxine Entwistle had a display promoting child health and the various support services that can help young families. Local pharmacies, Stockton Heath Pharmacy, Lloyds Pharmacy, Boots Pharmacy and Clicks Chemist all had displays promoting their services. Displays were provided for WIRED Carers, Patient Participation Group, Cancer Awareness and Dying Matters. Refreshments were kindly provided at St Thomas’ Church throughout the morning. A big thank you to Reverend Michael and his team for their continued support. This report summarises development and outcomes of Stockton Heath Medical Centre Patient Participation Group(PPG)/Virtual Patient Reference Group (VPRG), 2011/12. Invites sent out to nominated patients to request their help in establishing a Patient Participation Group. GP’s and clinical staff spoke to patients who they thought would be interested in joining the group to “sound them out”. Invites were sent out during December 2010. 15 invites were sent out but only 6 people replied. The first meeting had 4 patients in attendance. Details of QOF framework given, to enable lay person understanding of how quality is measured within general practice. Patient feedback cards in reception area. Questionnaire handed to patients and left on table in reception area. Decision to run both groups concurrently was taken. Groups were identified based on age, ethnicity profiles and registered carers. 1% of each group were contacted either by phone or letter. Poor response only had 30 people respond . Posters were displayed in the surgery giving details of who to contact to join the VPRG. Details about the group were put on surgery website. Significant changes to services introduced. Tour of surgery, meet the staff. Information about the PRG and the PPG and to how to join them. October 2011 – New document management system introduced – to alleviate problems of misfiled correspondence. Improving service to patients – letters immediately put into GP/Nurse “electronic tray”. December 2011 - Christmas newsletter sent via website to members of VPRG and patients who have registered to receive on-line newsletter. Group meetings in January and February highlighted problems with recruiting for the group. From January 2012 approximately fortnightly various service providers have attended the surgery for informal drop-in sessions. Some of these were specific to particular groups, whereby patients with specific needs could be informed of services available e.g. Parkinson’s’ nurse, while others were of more general interest e.g. Wellbeing service and required different publicity. The drop-in sessions have been a huge success with our patients. They are happy to have easy access to service providers. The providers also think it is an excellent opportunity to meet patients they wouldn’t normally have access to. We hope to continue to provide this additional support to our patients through gaining ideas for the service providers they want to meet. Continued use of this medium will help to advertise future events the PPG/VPRG will provide. Newsletter Spring 2012 sent to members of PPG/VPRG and to those patients who registered for receipt via website. Hard copy displayed in surgery. A further survey to be undertaken spring 2012, website provider advice being sought to ensure the survey reaches larger groups. A second “Open Day” is to be planned for late September 2012. The surgery will be closed on the last Thursday of every month from 12.30pm the Warrington GP Out of Hours service provides medical cover during this time. Please read the information below for contact information of the Out of Hours service. We are available for emergency medical advice between 08.00 - 08.30 hrs and 18.00 - 18.30 hrs Monday - Friday. If you require urgent advice during these periods please phone us on 07538315352. In addition we do offer an "Extended Hours Service" on certain days of the week. A limited number of routine appointments with our doctors are available between 7:45 am - 8:30 am This is aimed at providing a service for our patients who find it difficult to attend during our normal opening times. For more information on this service please contact our reception staff. An enjoyable morning for those who attended the open day; patients, service providers and medical centre representatives. Below are issues and feedback raised during the event. These will now be discussed by the Practice team to see what further improvements can be made. Telephone appointments with doctors – conflicting information about when and how you can book them from GP and receptionist. Would be good to hold more of these events. Prescriptions office. There is signage above window for prescriptions collection, often have to go back to main reception desk. Need to be clearer. Some people attended the event to see specific organisations for specific information and support. They would like regular access to support services here at the surgery rather than just being signposted with information leaflets and contact numbers. “I found the Disability people and Warrington Carers particularly helpful. Would like to see improvements on the 2 week waiting time to see a doctor and to be able to see the same doctor instead of a different one each time”. “Continue with the good service you all do. Other events like this would be welcome”. “Continue to be accessible and open. An excellent day, time well spent”. “Whilst understanding the pressure you are all under so well explained by Julie. I retain my view that additional support staff would assist with the need to limit release of prescriptions to after 2pm. Staffing of telephones on a staggered lunch basis would also substantially reduce the surge of demand at 1.30pm. The spread of prescription release time would also assist with queues at local chemist”. All patients who attended said they would attend similar events. All service providers were very impressed and were happy they had the time to network with each other as well as with patients and the surgery team. All would be happy to support future events. Patient Participation Group - results of questionaire run during April 2011. Why are prescriptions only available for collection after 2 pm? With an average of over 500+ requests daily, the processing of prescriptions takes place in the mornings. Being able to deal with the volume of requests without interruption is the only way we can achieve a "two day" turnaround. An extra member of staff has been made available between 2 pm and 3.30 pm to help at the busiest time for prescription collection. We encourage the use of Community Pharmacies and the Collection and Delivery Service they provide, to enable collection at individual preferred times and weekends. We encourage use of the website to place prescription requests. Queues & Delay - Regarding Booking-in and information if clinics are running late. A computerised Booking-in system is being looked at, which will reduce queuing time at reception. A community screen is to be installed which has the option to have "rolling information" available so Patients can be informed if any Dr/Nurse Practioner/Nurse clinic is running late. Two receptionists will be available at the busiest times. Why does it take time to get through on the telephone? We are a busy practice with 17,500 patients. Each morning we have 4 members of staff constantly taking calls. A new system was installed in April; unfortunately there was a technical problem which the practice was unaware of, which has now been rectified. A new scanning system to enter data on Medical Records is to be installed enabling a further receptionist to take calls. An extra telephone line to be installed when an extra receptionist becomes available. Discussion on how to improve the Appointment system/ improve access to Clinicians and continuity of patients treatment is at the top of the agenda. Practice nurse led triage is being looked into. We have 3 nurse Practitioners who Diagnose/Prescribe and Refer patients as necessary. Routine reviews via telephone consultations are in discussion. We have considered the views and concerns of our patients. We hope the proposed changes will improve the service we provide. Communication is the key element and we will continue our new established Patient Participation Group/Patient Reference Group. The Patient Reference Group will regularly ask for Patient opinions via email. Concerns and suggestions will be discussed at the Patient Participation Group meetings. All members of the PPG will be expected to sign a declaration that they will act in accordance with this code. 1) Doctor/Patient confidentiality will be of paramount importance. Any breach of such confidentiality will lead to the forfeiting of a place in the PPG. 2) Members of the Panel will not discuss their own GP, their individual illness, condition or nature of treatment at any PPG meetings. 3) Members of the PPG do not require information about individual patient’s, identity, illness, condition or nature of treatment and should not seek it. If patients willingly disclose such information in the course of discussions, members should receive this in the strictest of confidence. 4) Members are expected to conduct themselves with courtesy and consideration for others, whilst retaining the ability to be constructively critical where this is appropriate. 5) Members of the PPG are not expected to approach the media without prior approval of the Practice. 6) When speaking as PPG member in a public forum or in private or informal discussion, members should ensure that they reflect the current view of the PPG, whether they agree with it or not. 7) PPG members have a responsibility to respect and promote the corporate and collective decision of the PPG even though this may conflict with their personal view. 8) PPG members are, of course ultimately free to comment as they wish as individuals. However, if they decide to do so they must make it clear that they are expressing their personal view and the PPG’s view. 9) Members should make sure that their comments are well considered, sensible, well informed, in good faith, in the public interest and without malice and that they enhance the reputation and status of the PPG. Ø Accountability: Everything done by the PPG should be able to stand the test of scrutiny by the public. Ø Integrity: This should be the hallmark of all personal conduct between members of the PPG, the Practice and the Public. Ø Openness: There should always be sufficient openness of the PPG activities to promote the confidence of the Practice and the Public.